The Community of Divine Innocence – spiritual constitution and rule. The Holy Sacrifice of the Mass and perpetual Adoration of the Blessed Sacrament is at the centre of this way of life, living our lives in fitting praise and adoration. We strive to make our whole lives Eucharistic centred. Jesus was the centre of the Holy Family in Nazareth, Our Lady and St. Joseph were formed by the word of God in the Scriptures. We consider Our Lady as Novice Mistress and St. Joseph our Novice Master and allow them to teach us to live daily in holy innocence. 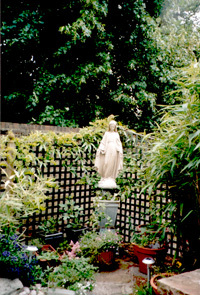 We strive to live more perfectly each day the perfection of the Catholic Christian motherly and fatherly roles according to Christ's Divine Innocence, in our individual vocations and gender, all men and women, married and single, priests and laity, religious men and women according to the Way of Divine Innocence. We are concerned with the spiritual and temporal care of priests and families. In a spirit of reparation in union with Christ we express our sorrow for all sins that offend God especially the sin of abortion. Reparation is not confined to the special walks or chosen acts of penance, these are a small part of our everyday lives. Rather, it is the willing and loving acceptance of all our trials and sufferings, uniting them with the perfect reparation of Christ’s Cross through the Holy Sacrifice of the Mass, to draw down grace on those in need. We should embrace difficult situations that arise and turn them into creative and loving reparation. This is an important part of the spirituality of Divine Innocence. The Community’s patrons are St. Benedict, St. Francis, St. Gertrude and St. Anthony of Padua. 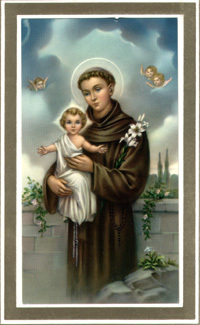 The writings of these Saints are important for those who wish to grow in the Spirituality of Divine Innocence. 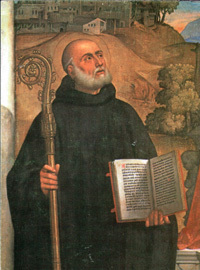 Our Lord has instructed us to follow the Rule of St. Benedict in as far as it is applicable to our daily lives and complimented by the spirituality of Divine Innocence. 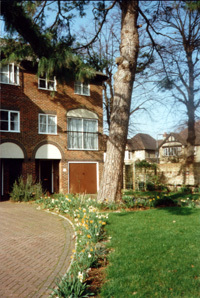 The Community’s foundation House is in Surbiton, Surrey, England where this message originates. 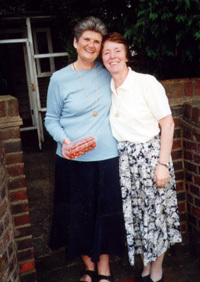 The Family of Divine Innocence world-wide receives direction from the spiritual foundress and the central foundation. People are welcome to come for prayer and learn about the Way of Divine Innocence. We produce various publications during the year that contain spiritual and practical instruction to help us advance in this spirituality. The messages make up a content of rich teaching, which can be read over again and again, contemplated upon and put into practice. Spiritual Constitution and Rule of Divine Innocence. Patricia. I was thinking about the Rules and Constitution for the Children of Divine Innocence and thought that they should be very simple. I asked the Infant Jesus. Patricia. Little King, what are the Rules of this Community? Infant Jesus. The first Rule is Love, the last Rule is Love and all the Rules in between are Love. 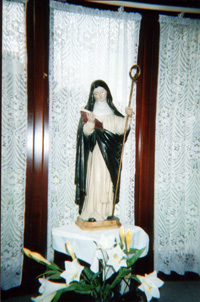 Patricia. What is the Constitution, Little King? Infant Jesus. Your Constitution is My Constitution. Infant Jesus. What is the Constitution of My Childhood? (Our Lord spoke about the physical and spiritual constitution of His Childhood.) The Constitution of a healthy, holy, little child, strong and joyful and full of happiness, who quickly recovers after a fall; naturally loving and kind; full of warmth and innocence; trusting and good; forgets wrongs quickly; affectionate and peaceable; bears the wounds inflicted by others with love and resignation. - loves the Song of Love and strives to sing it to perfection. Infant Jesus. This is your Rule and Constitution; you follow the house rules of the Holy Family in Bethlehem and Nazareth. In a spiritual sense the child of Divine Innocence is born in Bethlehem and in Nazareth grows in stature and wisdom. Look to the example and virtues of your Heavenly Mother and St. Joseph, and the Child Jesus who is the perfection of the way of Divine and Christ like Innocence.